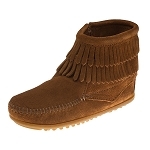 Minnetonka 2588K - Soft, rich stone suede natural leathers and woven Frisco fabric in a compact genuine Minnetonka style. 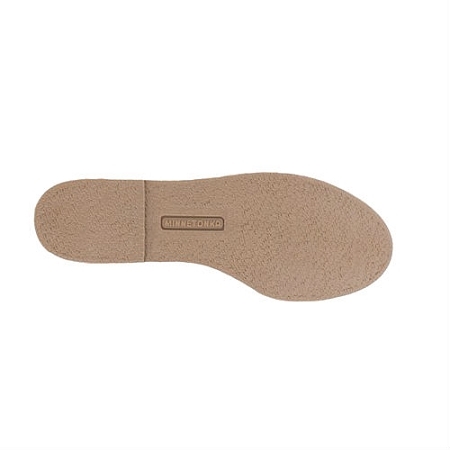 Cushioned insole and rawhide laces. 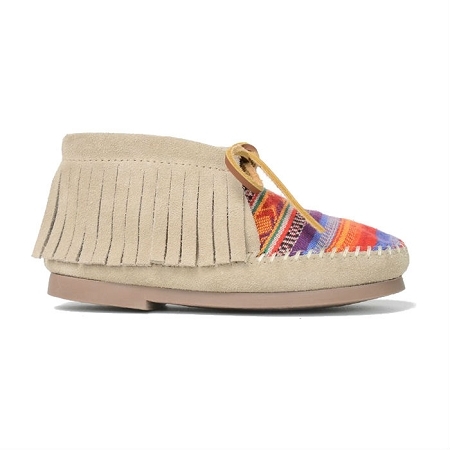 "Moccasin soul" for smaller feet. 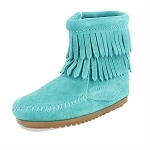 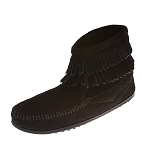 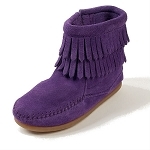 How about matching fringe boots for mom? 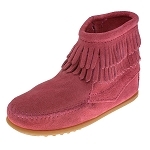 Our iconic Classic Fringe Boot gets a colorful update. 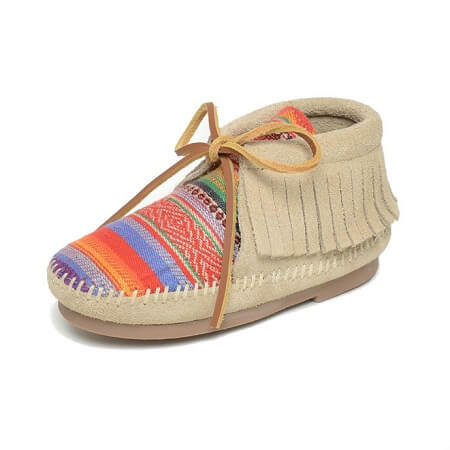 The perfect mommy and me matching boots featuring bright woven serape-inspired fabric on a stone suede bootie.